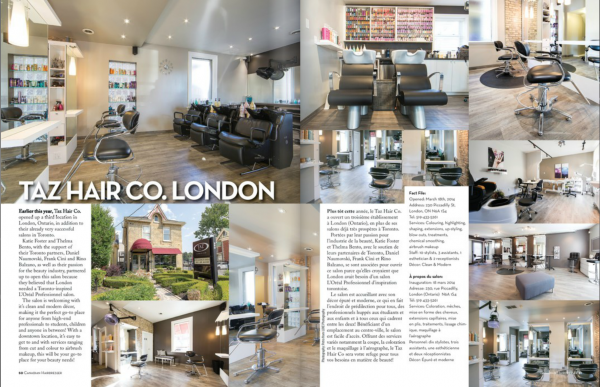 Taz’s newest location, Taz Hair Co. London, has been on a roll since they opened. Most recently, they were featured in Canadian Hairdresser magazine. To view the article, click the image below. Congratulations to the whole team!